Many people believe that as a result of legislation passed by Congress in 2005, ordinary working people can no longer declare bankruptcy. This is not true; although many types of secured debt are no longer dischargeable, unsecured debt – namely, credit card debt – can be discharged in bankruptcy. This is still something that should be avoided if possible, however. If you have $30,000 or more in credit card debt, an experienced attorney at Trident Debt Solutions can help and provide you with a better alternative. Debt services have been around for several years, and virtually every company in this industry makes the claim that they can settle your debt for pennies on the dollar. At Trident, we offer debt help that is realistic and authentic. Our lawyers have proven track records and excellent references. Over the years, we have been able to help our clients get out from under credit card debt for as little as half of the amount owing – and do so within two years. Experienced Debt Attorney: Founder and CEO Stephen Craig has successfully represented bankruptcy clients over 3000 times in his career. As a specialist in finance and bankruptcy law, he will meet with you personally to make certain you qualify for Trident’s debt- relief program. If he accepts you as a client, you are assured of personal representation and management until your case is resolved. You will be informed of the upsides as well as the downsides of all your options, including tax consequences. If you are unable to qualify for Trident’s program, Mr. Craig can refer you to colleagues in the legal community who may be able to help you. Equitable Fee Structure: The typical debt services company bases its fees on the total amount you owe, regardless of how much they actually save you. This fee can run anywhere from fifteen to twenty-one percent of your indebtedness. So, if your total credit card debt is $100,000, they would be charging you up to $21,000 for their services. Trident uses a different business model, resulting in greater savings for you. More Savings with Trident: Our fee structure is based on a percentage of what we actually save you, which is generally between twenty-five and thirty percent. It seems like that would be more, but let’s do a comparison based on higher figures: Company “X” charges you twenty percent on a settlement for a $100,000 debt. That’s $20,000, whether they settle your debt for ninety cents on the dollar or fifty cents on the dollar. 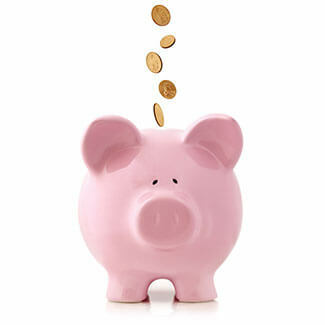 At Trident, we are able to negotiate your debt down to as little as fifty percent. For you, that means you’ll pay $50,000 to your creditors. Our fee – say thirty percent in this case – would be based on $50,000, not the full $100,000. Thirty percent of $50,000 is $15,000 – which is a better deal for both Trident and the client. It gives our lawyers an incentive to negotiate the best possible settlement. Limited Duration: Most of our clients are debt-free within two years. We arrange our program in such a way that can help our clients get out from under their burdens in a shorter time. This not only lowers stress levels, it also means less interest paid on outstanding balances – another way in which Trident saves their clients money. Trident is BBB Accredited: Until recently, no debt services company was even eligible for BBB membership. Trident was among a very small handful of such firms to be accredited by the Better Business Bureau. This accreditation was granted only after undergoing a rigorous review with standards much higher than those to which other businesses are held. Furthermore, Trident has earned an “A+” rating from the BBB. As long as the $30K minimum debt requirement is met, Trident’s professionals can help. Call us for a no-obligation consultation on debt help today at 303-872-8492.